Creating the ultimate transition between your home and garden, timber french doors offer a highly sophisticated aesthetic. 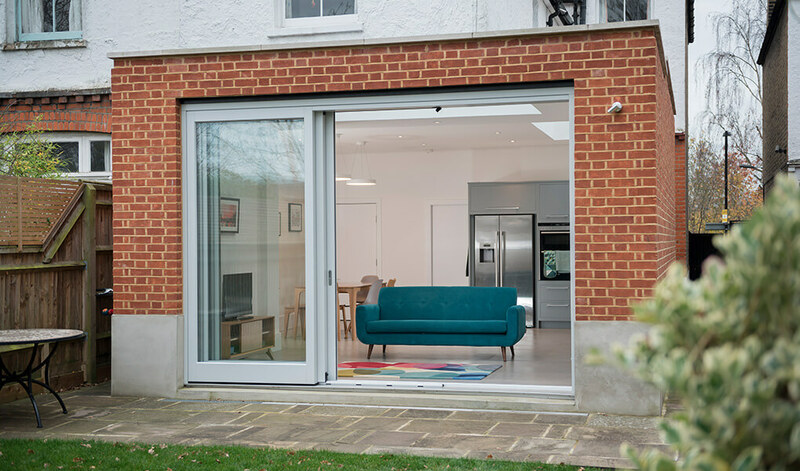 Operated via a sleek sliding function, bring the outdoors into your home effortlessly and in style. Slim framing and vast amounts of high quality glazing ensures our timber patio doors will brighten up your home tremendously, creating a beautiful, well-lit space. The quality of the glazing also ensures for crystal-clear views of your property’s exterior. 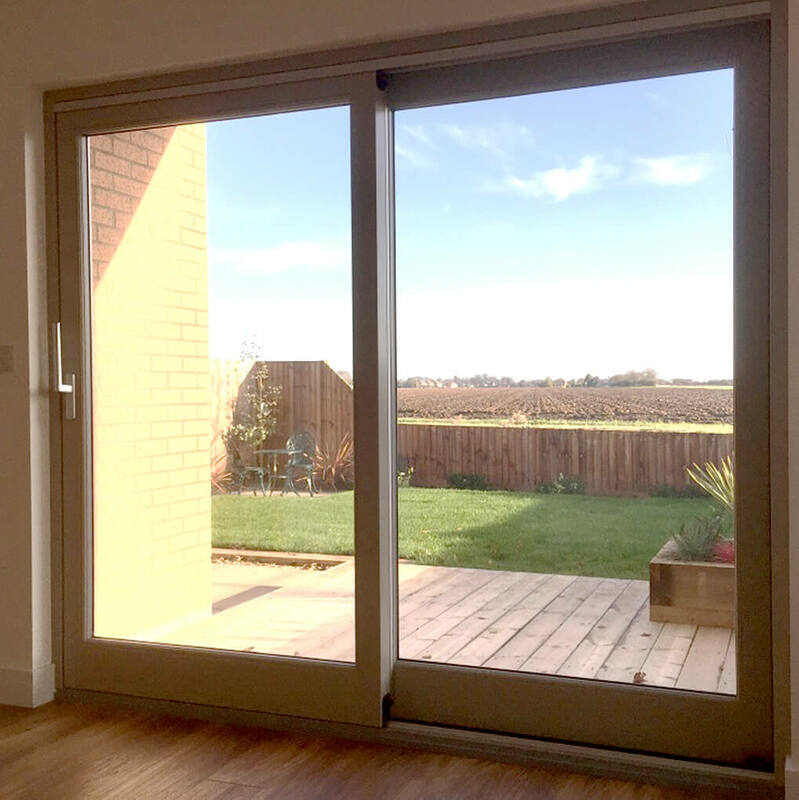 T&K provides timber patio doors supplied by George Barnsdale and in a range of configurations, ensuring they can be adapted to suit a number of opening sizes. And despite being a more contemporary design, the features on our patio doors can be altered so they’re completely adherent to a traditional aesthetic. Able to achieve U-values of 0.9 W/m2k, our timber patio doors perform very well in terms of energy efficiency. Fitted with multi-point locking systems and advanced cylinder locks, intrusion into your home will be exceedingly difficult. Concealed gaskets and sealing plugs seal the frame when your doors are closed, protecting your home from the elements. Thanks to a low resistance roller opening system, slide your timber patio doors open and closed with total ease. An incredibly diverse number of finishes can be achieved. Choose from contemporary, traditional or bespoke colours and three choices of wood. Finally, decide on a single, dual or mixed colour application so you can customise your doors exactly the way you’d like. 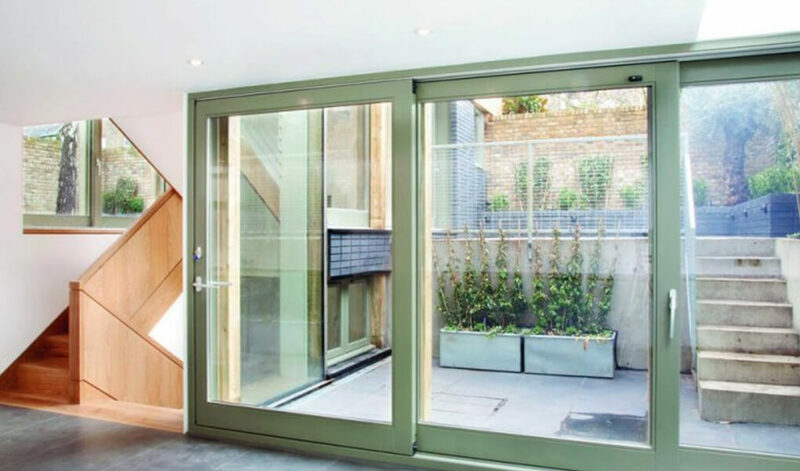 T&K offers a range of glazing options, so our timber patio doors are suitable for any purpose. Choices include security laminated glass, to ensure for optimal levels of security, and solar reduction glass, which helps reduce heat build-up caused by continual sun exposure. Utilising expert craftsmanship that has been continuously refined for over a century, the quality of wooden framing used on our timber patio doors is truly astounding. However, T&K supplies them with uPVC and aluminium framing too. Customise the handles on a set of T&K’s patio doors with a selection of high quality finishes. Choose from Polished Brass, Polished Chrome, Satin Chrome and Bronze. Regardless of which you choose, the quality of finish is nothing short of exquisite.